An article in the online journal BMJ Open has found that the sugar content of most supermarket yogurts well above recommended threshold, new analysis of nutrient content reveals. And organic varieties, often viewed as healthier options, contain some of the highest average sugar content, at 13.1 g/100 g, the findings indicate. Yogurt may be an “unrecognised” source of dietary sugar, particularly for young children, who eat a lot of it, highlight the researchers. The evidence suggests that yogurt and other fermented dairy products aid digestive and overall health. A good source of ‘friendly’ bacteria, they also contain protein, calcium, iodine and vitamin B.
UK and US dietary guidelines recommend low fat and low sugar dairy products, and the researchers wanted to assess how far yogurt products, particularly those marketed to children, meet these guidelines. 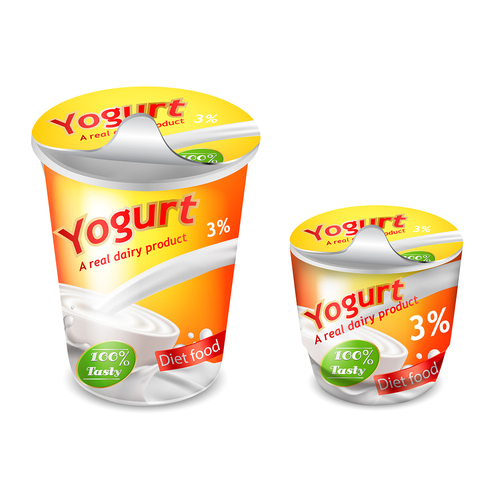 Children up to the age of 3 in the UK eat more yogurt than any other age group. They therefore assessed the nutrient content of almost 900 yogurts and yogurt products, which were available from five major UK online supermarket chains in October/November 2016. Between them, these chains account for 75 per cent of the market share. The sugar content varied enormously both within and across the categories, the analysis showed. But, with the exception of natural/Greek yogurts, the average sugar content of products in all the categories was well above the low sugar threshold. Fewer than one in 10 (9%) qualified as low sugar, almost none of which were in the children’s category. This is “concerning,” given the rise in childhood obesity and the prevalence of tooth decay among young children, say the researchers. Unsurprisingly, desserts contained the most total sugar, at an average 16.4 g/100 g, an amount that represents more than 45 per cent of energy intake. These were followed by products in the children’s, flavoured, fruit, and organic categories. In these categories, total average sugars ranged from 10.8 g/100 g in children’s products to 13.1 g/100 g in organic products. This compares with an average of 5g /100 g for natural/Greek yogurts. In a separate story, the makers of Kinder chocolate eggs have been criticised by the advertising watchdog for targeting children. The Advertising Standards Authority has banned a website, app and YouTube channel promoting Kinder chocolate and toys after concluding it was being used to market junk food to children.